Convert MOD to MOV, MP4, AVI, WMV, MKV and other 1000+ video formats on Windows/Mac with easy steps. Add MOD videos from camcorder and transfer converted MOV videos to mobile devices via a USB cable. Compress MOD file size without losing quality for easy sharing. 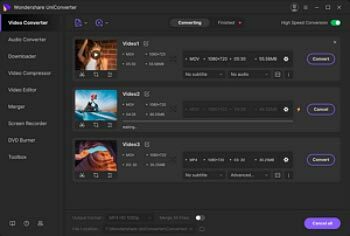 Edit MOD videos with trimming, cropping, rotating, adding watermarks, applying effects, etc. 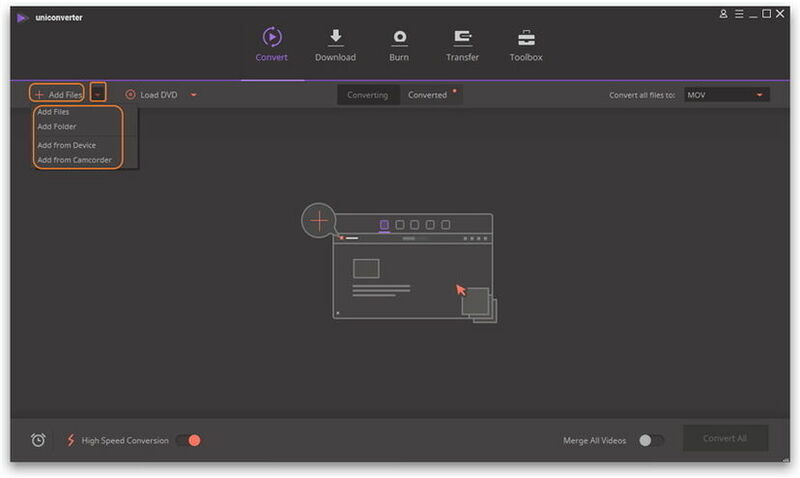 Versatile toolbox combines Video Compressor, DVD Burner, GIF Maker, Fix Video Metadata, etc. As we know, MOV is a popular video format using a proprietary compression algorithm and compatible with both Macintosh and Windows platforms, especially playable on iPhone, iPad and iPod for entertainment on the move. 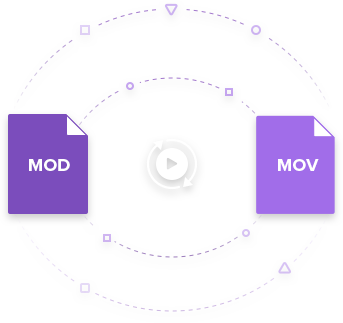 While MOD is a format widely-used to save media data on camcorders and cameras, and it is not so popular on mobile devices like iOS devices and even can't be recognized by some Mac apps like QuickTime. So if you have problems with this, you can convert MOD to MOV for a change. This article focuses on MOD to QuickTime MOV Windows conversion as well as MOD to QuickTime MOV Mac conversion for assisting you to playback your cam video clips on your devices or to use them in Mac software smoothly. To do so, a professional MOD to MOV converter would be helpful. Wondershare UniConverter (originally Wondershare Video Converter Ultimate) is what we are looking for MOD to MOV conversion. Details below will show you how to convert MOD to QuickTime MOV in Windows and Mac easily without any quality loss. Convert MOD to MOV, MP4, AVI, WMV, and other 1000+ video/audio formats on Windows/Mac. Add MOD files from devices and transfer converted files to iPhone/Android easily via a USB cable. Compress MOD file size without losing any quality in different resolution. Burn MOD files to playable DVD with free DVD menu templates and playback on TV. Download, install and launch Wondershare UniConverter (originally Wondershare Video Converter Ultimate) on your Mac/PC. Directly drag & drop your MOD cam files to the converter, or click the Add Files button to browse your computer and choose the MOD file you want to convert. You can load several MOD files at one time with the function of batch conversion. 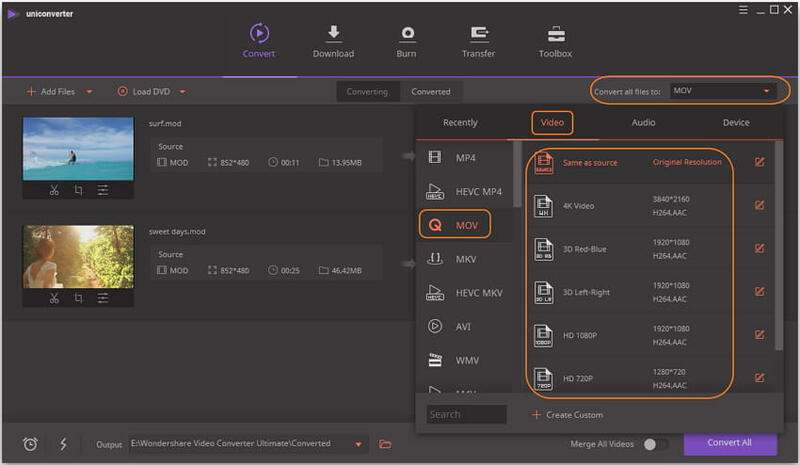 After adding MOD files, you can set your output format as MOV by clicking the inverted triangle icon on the Convert all files to: option, then select the Video category in the top and choose the MOV from the left sidebar and the specific resolution in the right. 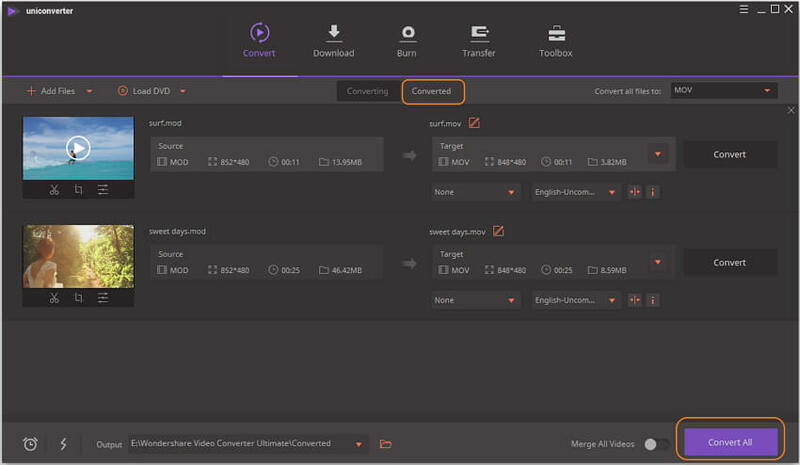 Note: Click +Create Custom, you'll be able to set your video encoder, resolution, frame rate as well as the audio channel. If you wanna play the files on iPhone, iPod or iPad, you can choose the presets for them directly. Click the Convert All button to start converting MOD to MOV QuickTime on your computer. After that, you can switch to Converted tab to find your converted MOV files. Tips: Wondershare MOD to MOV Mac video converter also provides video editing functions. If you want to make your video more personalized, click the editing icons under the video thumbnail, then you can add watermark or a subtitle, set the video brightness, contrast, etc.